This lesson shows you how to listen for touch events to let users rotate an OpenGL ES object. In order to make your OpenGL ES application respond to touch events, you must implement the onTouchEvent() method in your GLSurfaceView class. The example implementation below shows how to listen for MotionEvent.ACTION_MOVE events and translate them to an angle of rotation for a shape. Figure 1. 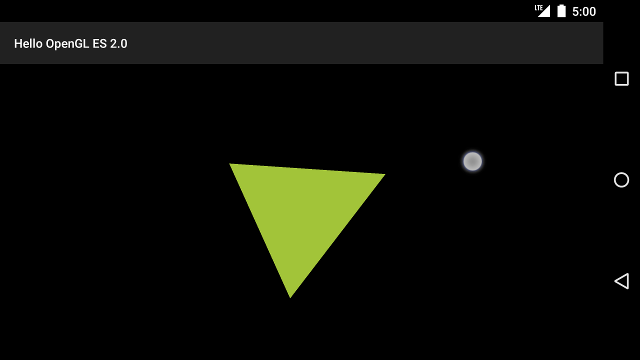 Triangle being rotated with touch input (circle shows touch location).